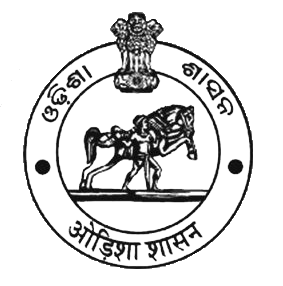 In Jagatsinghpur District, the School and Mass Education Department is functioning with District Education Officer as the office head of the Department. In the Department, all the schools functioning from Class-I to X are covered specifically mentioned as Primary, Upper Primary and Secondary. In the Department two important schemes were functioning in the District (i) Sarva Sikshya Abhiyan (SSA) and (ii) Rashtriya Madhyamik Shiksha Abhiyan (RMSA). Besides Mid-Day-Meal (MDM) Scheme is functioning in the District. The schemes were functioning under the Chairmanship of Collector & District Magistrate, Jagatsinghpur. The Rastriya Madhyamik Shiksha Abhiyan (RMSA) scheme was launched in March, 2009 with the objective to enhance access to secondary education and to improve its quality. It is envisaged to achieve an enrolment rate of 75% from 52.26% in 2005-06 at secondary stage within 5 years of implementation of the scheme by providing a secondary school within a reasonable distance of any habitation. The other objectives include improving quality of education imparted at secondary level through making all secondary schools conform to prescribed norms, removing gender, socio-economic and disability barriers, providing universal access to secondary level education. Sarva Shiksha Abhiyan is a National programme aimed at achieving the goal for universalisation of Elementary Education in an effective manner, specially emphasizing on community involvement. It also emphasizes on imparting quality education to all the 6-14 years ago group children form Class-I to VII with 100% retention. The Right of Children to Free and Compulsory Education Act, 2009 has been implemented to Free and Compulsory Education to all children of the age of six to fourteen years. Bringing all children of 6 to 14 years of age group to schools. Ensuring Completion of Primary Education. Ensuring Completion of Upper Primary Education. Ensuring of Quality Education upto Elementary Level.